And as you’re thinking about loving your brain, keeping it healthy, we want to show you the #ILoveMyBrain logo, which we are launching on Valentine’s Day. It’s with that thought – “I Love My Brain”, that researchers, patients, carers, medical professionals, politicians, journalists are all working to reduce the prevalence of brain disorders. Although our projects vary and our focus is on different conditions, we believe that we can all identify with #ILoveMyBrain. With a shared logo, the public and the media can more easily recognize the vast scale of the work being done on brain disorders, and their enormous impact on society. In every country, across Europe and around the world, we encourage you to use the #ILoveMyBrain logo, which can be downloaded here, and the hashtag #ILoveMyBrain to help promote any activity that is connected to brain health and brain research. All your fundraisers, your policy events, your publicity campaigns, your research projects, your health promotion programs; in government, hospitals, universities, schools and community centres – if you’re working for brain health, we welcome you to use the logo. We are all part of this enormous push to show the world how much we love and need our brains. We hope that over the next few years the logo becomes a symbol, as recognizable as those other symbols which have been so effective in attracting resources to important diseases – the pink ribbon for breast cancer, the red ribbon for HIV. And the world will be reminded how much #ILoveMyBrain. To help give our launch some Valentine flavour, we are giving away some exquisite hand-made Centho Chocolates from the Belgian chocolatier, Geert Decoster. He won first prize at the 2013 International Chocolate Awards, and labours in his workshop in Flanders to create innovative and irresistible chocolates. 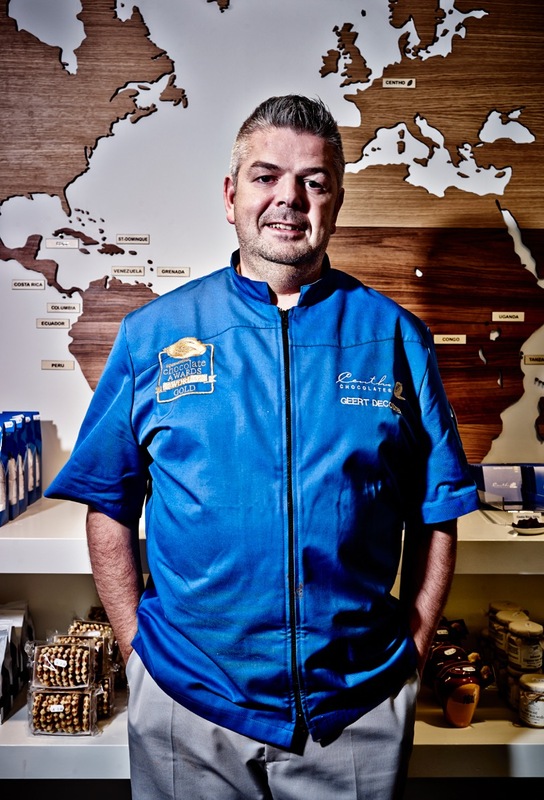 His approach is to use ‘origin chocolate’ – one piece will contain only chocolate from a single country, each with a unique flavor from some exotic location – Brazil, Colombia, Uganda, Vietnam, among many. 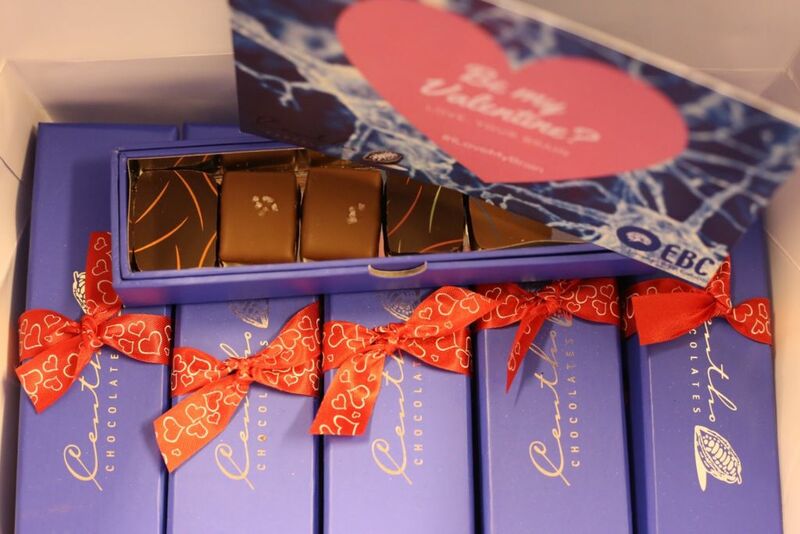 To enter the competition and for a chance of winning a box of hand crafted chocolates delivered to your door on Valentine’s Day, simply find us on Twitter @EU_Brain and retweet the Competition Tweet for that day, answering the question of the day in the comment section of your Retweet AND including the hashtag #ILoveMyBrain. The competition will run each day for 5 days – we’ll give away 2 boxes of chocolates each day, starting on Monday 6th February 2017. If you aren’t lucky enough to win one of our 10 giveaway boxes, you can always stock up from the Centho online store, which ships all over the world. Competition rules are below. You can also get behind the launch of #ILoveMyBrain by supporting the Thunderclap campaign to help spread the logo and message even further across Twitter, Facebook and Tumblr before the Valentine’s Day launch. Click on this link, then click on “Support”. We have 10 boxes of Centho Chocolates to give away. The first Tweet will be sent from @EU_Brain on Monday 6th February 2017. The Tweet will be marked “Day 1 Competition Tweet” and will include a question, based on the article on the EBC website, titled, ‘Valentine’s Day Launch & Competition – #ILoveMyBrain’. To enter the competition for that day, Retweet the Competition Tweet for the day AND answer the question from the Tweet in the Comment section of your retweet. The answer will be short – one or two words. You must also tweet the hashtag #ILoveMyBrain. So remember: Retweet article, WITH the hashtag AND the answer to the question. The next day, EBC will announce two winners of the boxes of Centho Chocolates. There will be a new Tweet for each day of the competition – each morning, EBC will Tweet a new Competition Tweet for the day. You can enter again every day for the 5 days of the competition. The final Competition Tweet will be issued on Friday 10th February. On Friday, you must retweet, as explained above, before 4pm in order to enter the competition on Friday. Friday’s winners will be announced before 5pm on Friday. All winners will be announced on Twitter @EU-Brain. EBC will contact the winners by private message on Twitter to request a postal address. All boxes of chocolates will be shipped to winners on afternoon of Friday 10th February, in order to arrive in time for Valentine’s Day. EBC cannot be held responsible if shipping service does not achieve delivery before Valentine’s Day.